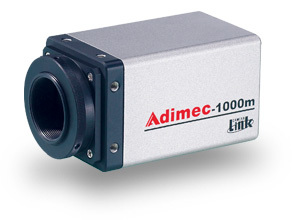 Adimec’s A-1000 family of high precision CCD cameras are ideal for metrology and inspection systems that require reproducibility and repeatability . Our accurate sensor positioning and alignment reduce or eliminate the need for incoming product inspection, reduce time required for tool matching, and minimize down-time. With exceptional channel matching, the cameras provide crisp, clear images while maintaining a low noise floor and excellent linearity. The A-1000 family of cameras are optimal for OEMs that seek to both lower the cost of integrating multiple cameras and maximize their system performance.